Our Campus Coaches programme is here to help you navigate your first two weeks at Victoria. You’ll get great tips from senior students for study and student life. We want you to succeed at Victoria and get prepared for an exciting future. If you need some advice or run into a problem—academic, financial, social, personal—there is always someone who can help. Find out more about the range of services to support students. To help you develop the maths, study and writing skills essential for university study, Student Learning provides workshops, one-to-one appointments and help desk sessions. Āwhina is the on-campus whānau support for Māori students to work together to share knowledge, achieve academic success, and build strong communities and leaders. Pasifika engagement advisers and mentoring coordinators help enable Pasifika students to do well in their study by providing academic mentoring, advice and a culturally safe place on campus. 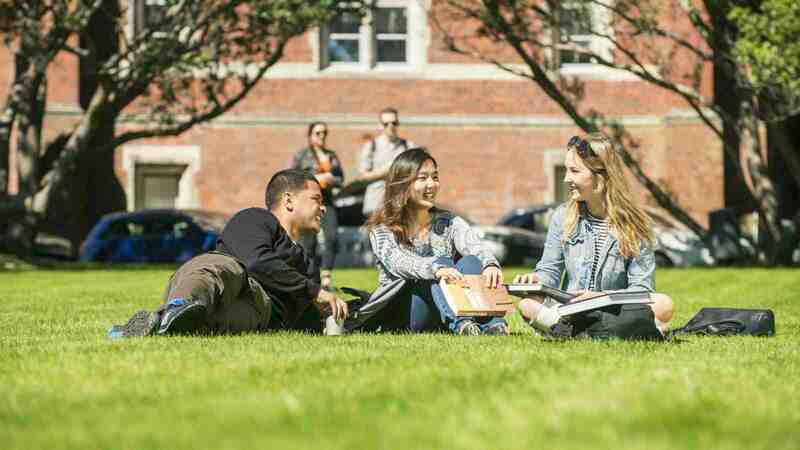 Discover our supportive communities for Māori, Pasifika, queer, international and refugee-background students. International students can sign up to the International Buddy Programme. Your buddy will help you find out about Victoria, provide advice about local customs and living in Wellington, and take you to special events to meet other buddies and international students.